Will Microsoft put VoIP capabilities into its Zune digital music player? 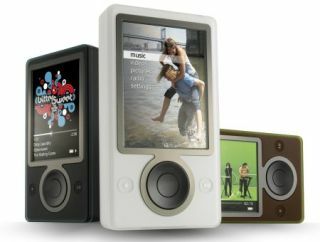 Microsoft may be looking to put VoIP functionalities into its Zune digital music player. According to MarketWatch , Microsoft has submitted a wireless device prototype to the US Federal Communications Commission ( FCC ) for testing. The device could be used to make calls over the internet. The filing doesn't indicate whether the device is the Microsoft Zune , but the digital music player is considered to be the device which would be most suitable for the VoIP technology. Besides internet phone calls, the device will be able to transmit TV signals wirelessly using orthogonal frequency-division multiplexing (OFDM), a technology that can be used to route digital TV and voice calls among devices. Microsoft said in the filing that the intended use of the device is "consumer broadband access and networking". Rob Enderle, an analyst with research firm Enderle Group , told MarketWatch the filing seems to indicate "an internet device or a mobile VoIP phone", that "certainly could be a Zune derivative product". Enderle said the Zune's current wireless capability only enables peer-to-peer sharing. Microsoft has already announced that a new version of the Zune is on its way and, since Apple announced its Apple iPhone , Microsoft is likely to seek new ways of challenging the Apple iPod with the Zune player. In the same way as the Apple iPod and Apple iPhone are connected, Microsoft will surely come up with a rival product. The document received by the FCC does not mention a mobile telephony function, according to MarketWatch. Last week, rumours suggested that a Zune Phone was imminent - information which Microsoft later denied .